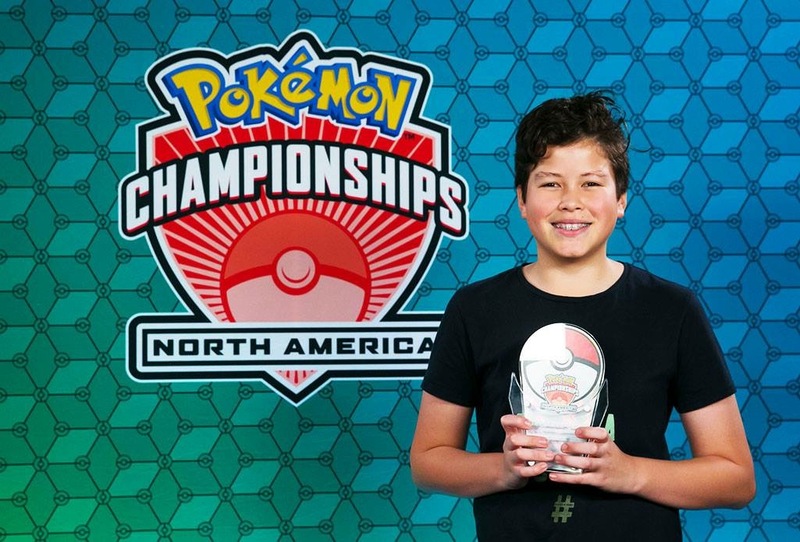 Posted by: Tim Crockford in Reports July 9, 2018 Comments Off on Australia takes home the North American VGC Seniors Championship! 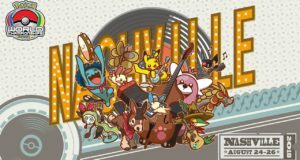 This weekend marks the largest Pokémon event on the calendar, the North American International Championships. This year the 3 day event is being hosted in Columbus, Ohio, and the turnout has been nothing short of phenomenal! For the Trading Card Game Masters division, it’s the largest event that has even been run, and the Seniors division actually played a two day Swiss tournament! We had 15 Australians make the trek over to the USA this year to throw their hats into the ring, and after last year’s amazing showing in the video game competition where we swept all three age divisions, expectations were high! 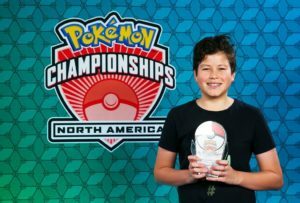 For the second year in a row, Alfredo Chang-Gonzalez of Victoria has taken out the VGC Seniors division, this year only dropping a single match all tournament, and will finish the season in 1st place in Oceania leading into the World Championships. He’s also the only person to win the North American International twice – TCG Master Tord Reklev from Norway came close this year but ultimately finished in 2nd place. The finals match is now available on the official Pokémon YouTube channel, so be sure to jump on and check it out! 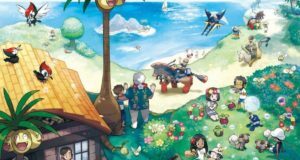 Australia also had three other competitors in the Ultra Sun & Ultra Moon VGC competition across all three age divisions. Will got an unlucky start to the day, going down to Haley Repas of the US, but he fought back, winning his next two games before pairing another US player in Jonathan Kasmir. Going into round 5, he needed a win and a lot of his opponents to do the same to boost his percentage. I’m sure flying half way around the world to pair his sister Meg in the final round wasn’t quite what he had planned, but the sibling rivalry continued and Will was able to take the win, but unfortunately didn’t quite get the percentage he needed, and bubbled out of the top 8. 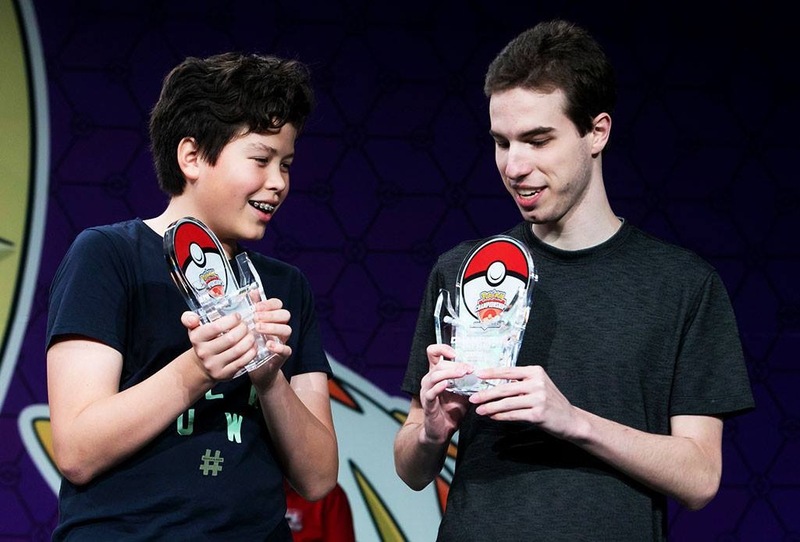 With only 27 players at the event only the top 8 players walked away with any CP, however Will has finished the season as the highest ranked Australian VGC Junior, and only narrowly misses being the highest ranked player in the region (2nd place Connor Yuen from Singapore did make top 8 and will just get ahead of Will after the finals), so we’re looking forward to seeing him at Worlds in August at Nashville! Meg like her brother Will unfortunately took a loss in her first round, but like her brother fought back to a 2-2 record going into the final round, clinching her 4th round win against Ignacio Del Compare from Argentina. A final round loss to Will dropped her out of finals contention. Still, with 1630 CP to her name before this event, Meg is still a very secure 4th place in the Oceania region, and we’re all waiting to see if the Worlds stage is where she’s able to take the title away from her brother Will! Alister had an amazing showing over the weekend, going 7-2 on day 1 to go into the second day of competition in 20th place. A 3-2 record on day two elevated that into 14th spot and top 16 points, meaning Alister walks away from the event with 200 CP to add to an already impressive 923 CP coming into the event. We had a much larger showing for TCG, with 11 competitors across all age divisions. Australia has traditionally been weaker on the world stage in TCG when compared to VGC as of late, despite having two former world champions in the younger age divisions, but our competitors put on a good showing against the USA! Daniel might not have made it into the finals this year, but with a finish of 31st in a tournament of 167 players, he’s still walking away with 160 CP and a cool US$500 for his work! He’s also the only Juniors TCG player from the entire Oceania region to walk away with points from this event, and this finish should secure him a top 4 position for the end of the season, which could mean a paid trip to the European International Championships later this year! Andrew didn’t have the best day, but before even beginning the event he was walking in with an invitation to the World Championships in Nashville, so Columbus was all about being a part of the largest Pokémon event ever! He’ll end the season on 264 CP and an invite to compete in Nashville. The size of the event was definitely something new for Zac. The day started well with a win, but a string of losses afterwards meant his day ended early after 5 rounds. But after finishing the season on 437 CP, Zac is still sitting pretty for Nashville, and whilst he hasn’t picked up the golden ticket of a travel award and day 2 position, we’re still hopeful we’ll see him (and his dad!) at Worlds this year. Nick is in his last year as a senior, and has been having an absolute scorcher of a season this year. Sitting on 872 CP going into this event, the 160 CP he’s earned for a top 32 finish will push him into the top 4 in the region, hopefully securing him a paid trip to Europe later this year where he’ll be competing in the Masters division for the first time! Lewis came into the North American International in a very precarious position, he was sitting in 8th position on the leaderboards with 9th placed Christian Fernandez of the Philippines sitting a League Cup win away from stealing the last paid trip to Nashville. Whilst day 2 didn’t work out as well for Lewis as he may have hoped, it doesn’t matter. Making day 2 means a top 32 finish, and it means an extra 160 CP which well and truely secures his trip to Worlds! We’re looking forward to seeing Lewis compete in Nashville. After a disastrous start to the day going 0-2, Damian fought back across the remaining 7 rounds of the day, not losing another game to eventually finish on a 5-2-2 record. 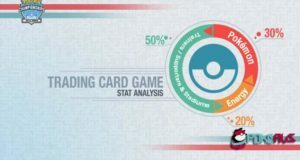 Whilst not enough to make day 2, the number of seniors at the NAIC was high enough that top 64 points are being awarded, and that extra 130 CP should be enough for Damian to finish in 1st place in Oceania once the results are all tallied up. A perfectly balanced event was the end result of the tournament for William, finishing in the middle of the field once the dust settled. Unfortunately William was on 181 CP going into the event, and needed a top 64 finish to secure his Worlds invitation, however with both his younger brothers in the juniors division both having theirs we hope he’ll be able to come along and cheer them on from the sidelines come August! With the Masters division podded into two groups, an X-2 record was going to be the only way to qualify for day 2 of the competition. Of Team Australia, Angus was the closest to the mark, going into round 8 he was sitting on a 5-1-1 record and needed to win out to secure day 2, however just fell short after an 8th round loss to finish on a 6-2-1 record. That was enough to finish 43rd in the Blue Pod, and 88th overall for the tournament. That top 128 finish and extra 100 CP it awards will easily be enough to secure Angus his day 2 paid trip for Nashville. Luke started the day off in a style befitting a fellow PokéDad by taking round 1 against Philip Schultz (who finished 23rd overall in the tournament), however by the end of round 4 was sitting on a 2-2 record and had to win out to make day 2. The plan worked for another 2 rounds, but a round 7 tie unfortunately put Luke out of contention for the second day of competition, and a final round loss making points unlikely. 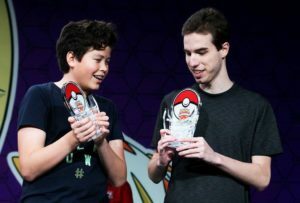 Finishing the season on 130 CP means no invitation for Worlds, but after finishing 272nd in a near 1500 person tournament clearly has elevated Luke into the top tier of PokéDads in the country! The head of Ace Trainer Australia, Bodhi went into the weekend with high hopes, but whether it be deck choice or just the cards not drawing in his favour, it wasn’t Bodhi’s day. Six rounds was enough for the weekend, but I’m sure that Bodhi has been taking every opportunity to collect more material for his next article, so watch the Ace Trainer Australia website in the coming days for a debrief from Columbus! Tait has astonished the Australia player base with how well he made the transition from Seniors to Masters his season. Even before this event he was ranked second in the country, and whilst today wasn’t his day, he’s still easily secured his day 2 trip for the World Championships and we’re confident he’s picked up some helpful strategies during his time Columbus to help him in Nashville. We’d like to congratulate all the players who competed this weekend in Columbus, you’ve done Australia proud! The countdown is now on to the World Championships in Nashville Tennessee on August 24th to 26th at Music City Centre. Are we going to see you there?